As a fellow family history buff I know how disorganised and overwhelming our research can become. Well presented research is easier for family to look through, easier to pass down to the next family historian and is more likely to be kept by the family. Preserving your research is important. Documents, letters, certificates etc need to be kept in an acid-free, lignin-free, and PVC free environment. Keep them away from direct sunlight and watch the humidity. 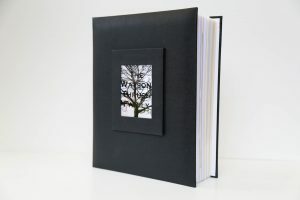 Memories of a Lifetime offer archival quality scrapbook albums in which you can present and preserve your research and documents. These albums are high quality, have a classically timeless design and come with a bookcloth cover with a photo or title insert. 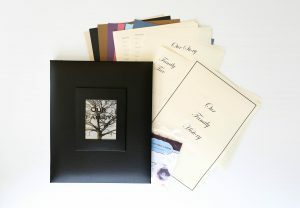 Available in 12 x 12 and A4 each album comes with 40 sheets (20 sheets). Refills are available to give you a maximum of 80 pages. Pages are an 80 micron polypropylene pocket. The European paper insert within each page is acid free, lignin free and buffered. Pages are post bound and top loading. Everything you need to get started with presenting your research. Each kit comes with a 40 page album. Additional pages and supplies can be purchased separately.